Love at first sight. From June through September, showy ‘Capriola’ flings out bouquet after bouquet of bright, white 3 inch flowers with light-red picotees and dark-red centers. 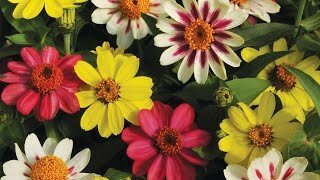 Early-flowering, densely-branching semi-dwarf 27 inch plants are easy to grow from seed and pay a summerlong dividend of gorgeous blooms. ‘Capriola’ draws admiration in flowerbeds, borders, and large patio containers. Amazing cut flowers for your favorite vase. Cosmos, Capriola is rated 3.0 out of 5 by 3. Rated 5 out of 5 by weeWen from Easy, beautiful, and still blooming in October I love these not too tall Cosmo which were incredibly easy to germinate. They have been blooming non-stop all summer and still blooming 2nd week of October. Thriving still in spite of my neglect and severe Chicago weather. Rated 3 out of 5 by Disappointment from Beautiful! I bought this in the Spring, the plants came up quickly but soon thinned out and ceased to grow and eventually died, so I did not get to enjoy them. Rated 1 out of 5 by Soccermom from Disappointed Having grown cosmos from seed before,I was excited to try this awesome color. I was disappointed how few seeds were in the packet. Germination percent was low. Only one plant survived to bring out side. Never saw a flower. Too expensive to try again.